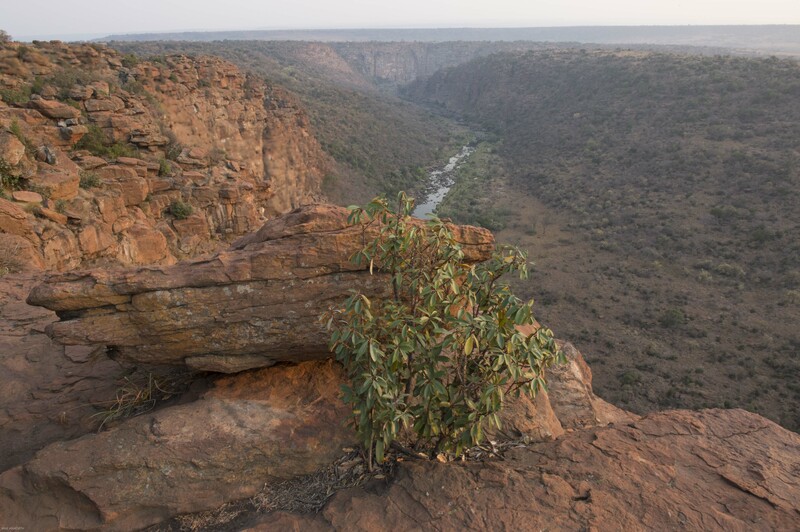 The Olifant’s river water catchment area is divided into three sections, the upper, middle and lower reaches. 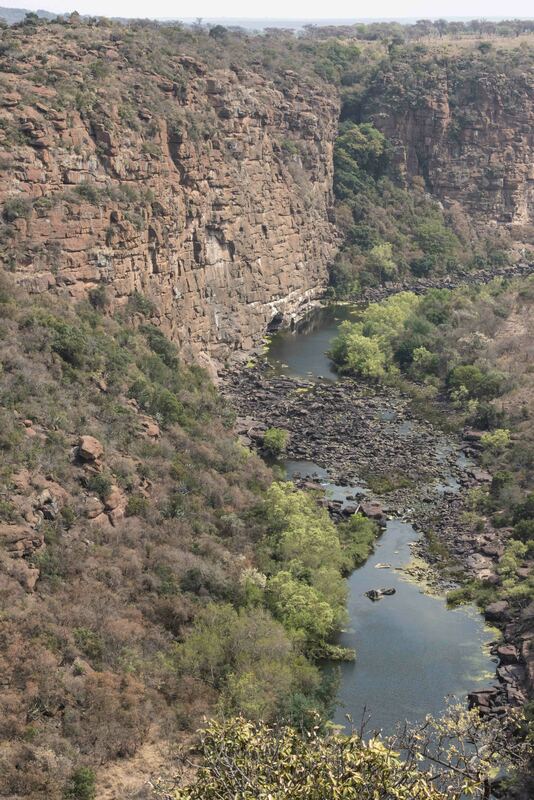 The Olifant’s River has its origin between Breyten and Bethal, in the Mpumalanga Province. This river flows past the Eagle Rock estate between the Witbank and Loskop dams. The Wilge river joins the Olifants just before the Loskop dam in the middle section. Beyond that the Olifants is joined by the Elands river near Marble Hall and flows down to the lower section where the Steelpoort river joins it and further downstream the Blyde river joins and further still in the Klaserie area the Ga-Selati river joins the flow. 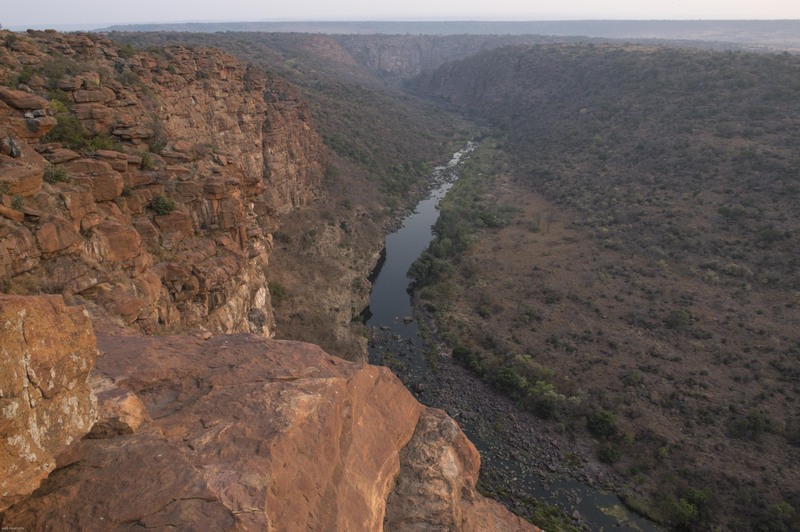 The Olifants flows through Kruger Park and is joined by the Shingwedzi river. The combined flow joins the Limpopo river in Mozambique on its way to the sea. This was the second morning while staying with friends Bill and Judy at their lodge in Eagle Rock estate. 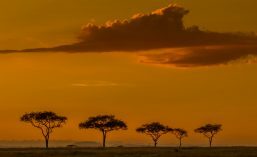 As a photographer, it is obligatory to get up before sunrise, otherwise you will miss the start of the day when the light is soft and the morn offers a warm palette of colours. At that time it was cool and the breeze was light. The birds were singing and there was a real sense of a new beginning. 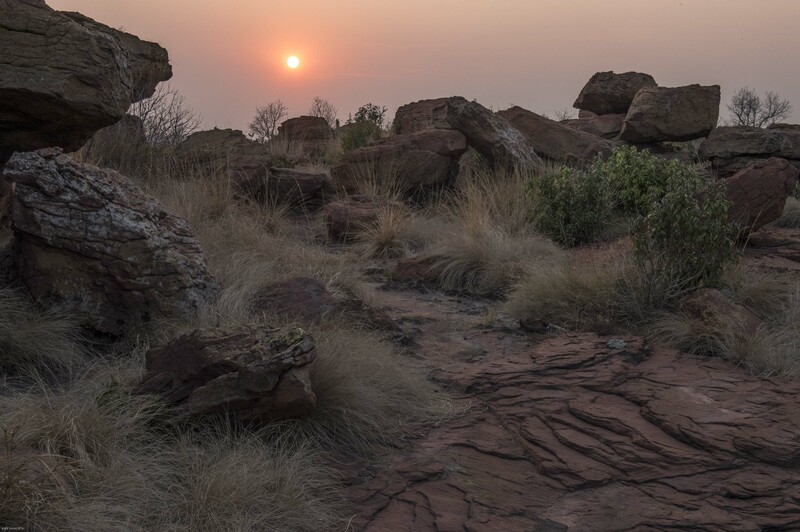 This image was taken at sunrise as I was walking along a sandstone ridge to the Black eagles nest viewpoint. There was no one around and it was peaceful despite all the wildlife stirrings. Just above the rock in the foreground on the left third of the image on a ledge in the cliff was the black eagle’s nest. Viewing the nest was best in the morning because of the direction of the light. 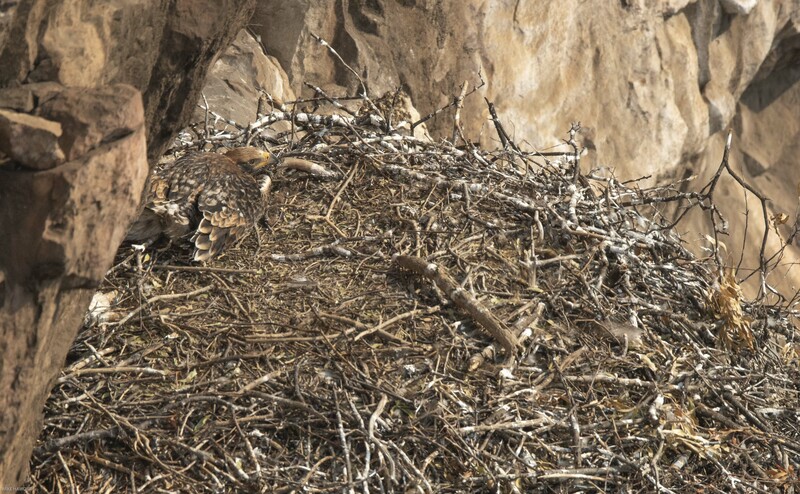 By late morning and afternoon the nest was in deep shadow. Photographing from this sandstone rock shelf was not without its risks. Two steps to the right was a straight three hundred metre fall. This is one little fact worth keeping in mind when the photography gets exciting. 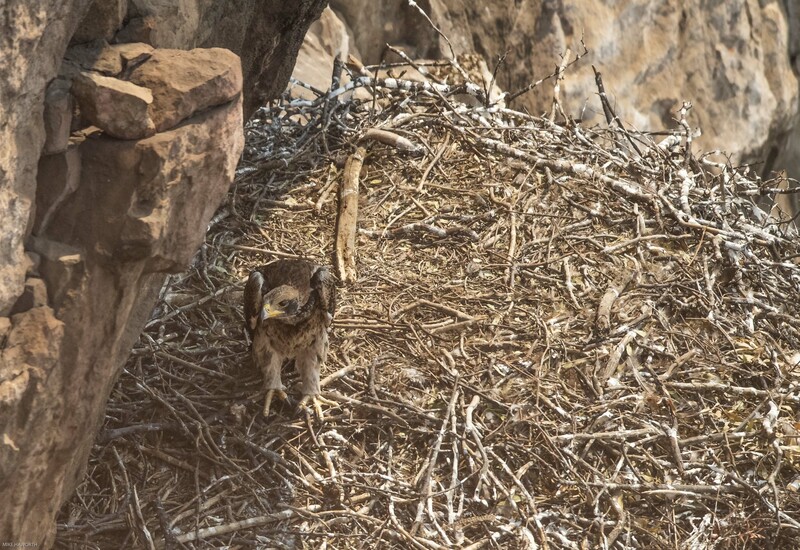 The black eagle chick was alone and looked to be around six weeks old. Possibly within a month or so it would be fledged. Like most eagles, two eggs are laid during a three day interval. Both parents incubate the eggs for around 45 days. The hatching usually takes place two to three days apart. Sometimes one egg is infertile but Black eagles are “obligate cainists”, meaning the older sibling usually kills the younger one by either starvation or direct attacks. Fledging happens between 90 to 99 days after hatching. The speckled pigeons have little to fear from the black eagles but the resident Lanner falcons are a different matter. The parent black eagles never visited the nest in the two days that I was watching. 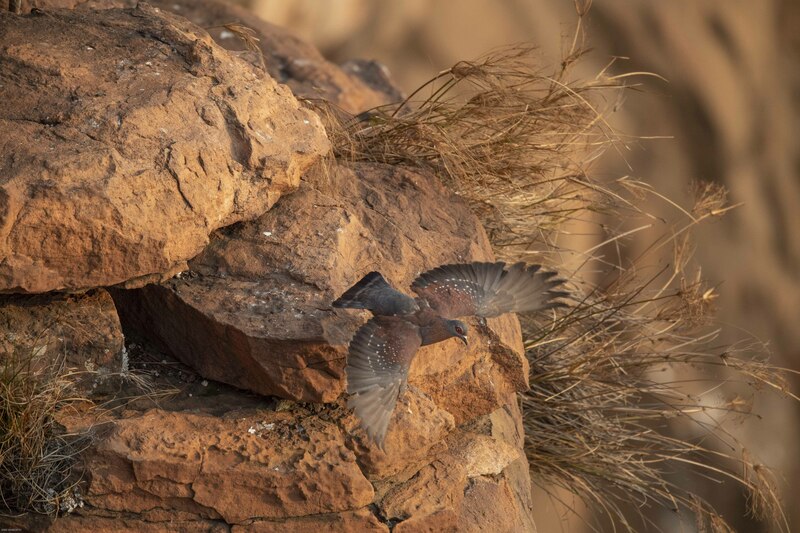 The closest the adults got to the nest was to land on a sandstone outcrop about four hundred metres away for about 15 minutes. The male, the smaller of the two, landed first and was followed by the female about five minutes later. She was noticeably larger. 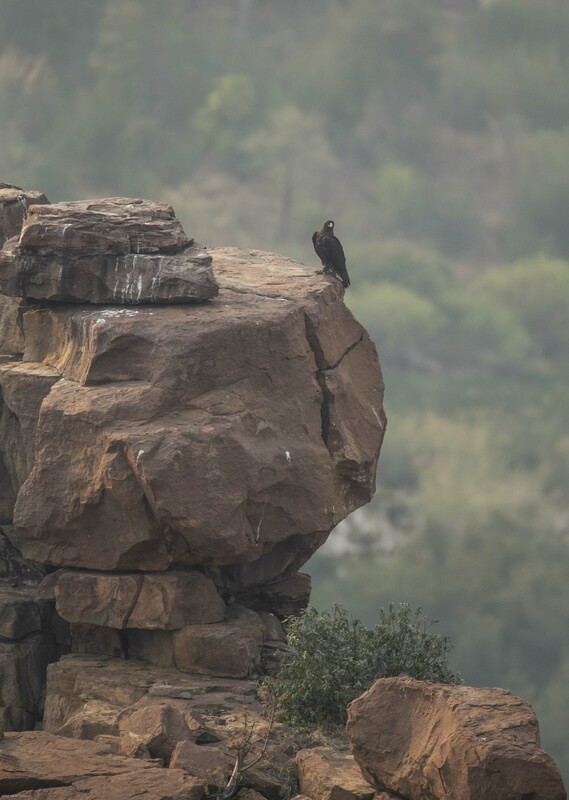 Verreaux’s eagles, also called black eagles, prefer hilly and mountainous terrain with cliffs, rocks ledges and caves. 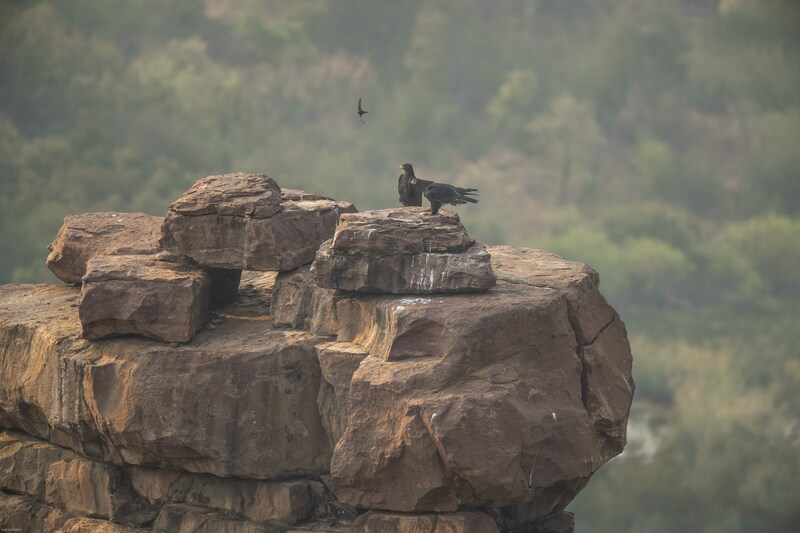 Their nests are usually built on ledges which baboons, genets and Monitor lizards cannot access. The Verreaux’s Eagle is a large bird of prey that is highly specialised. Its life history and distribution revolves around its main prey of Rock hyraxes and preferred habitat of hilly and mountainous terrain. 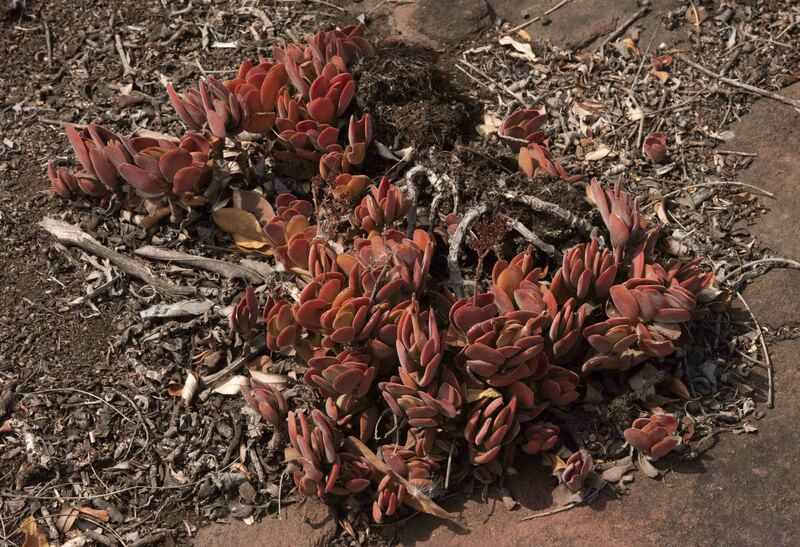 It is wide spread throughout Africa and occurs as far north as Eritrea and as far south as South Africa. (source SANBI.org). 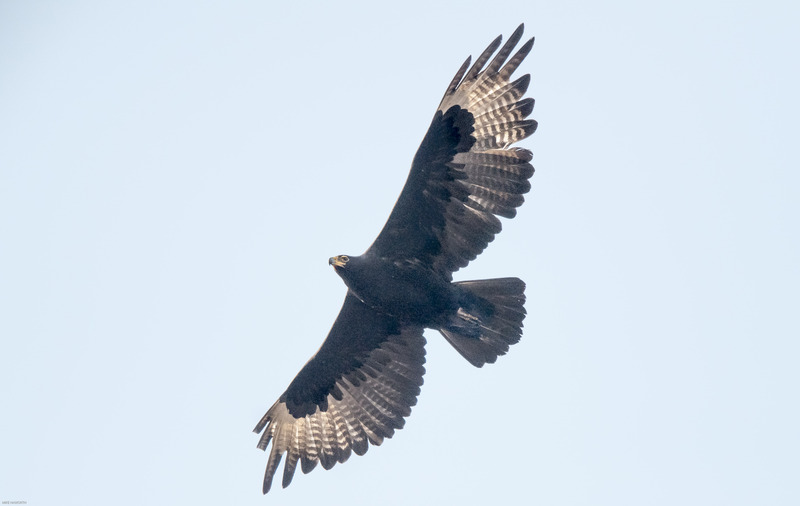 The Verreaux or black eagle is unmistakable. It is a large black eagle with black feathers down to its talons. In flight it has a distinctive white ‘V’ is evident on its back between its shoulders. Later in the morning the wind started to blow quite hard and the eagle chick squatted down low at the back of the nest for some protection. 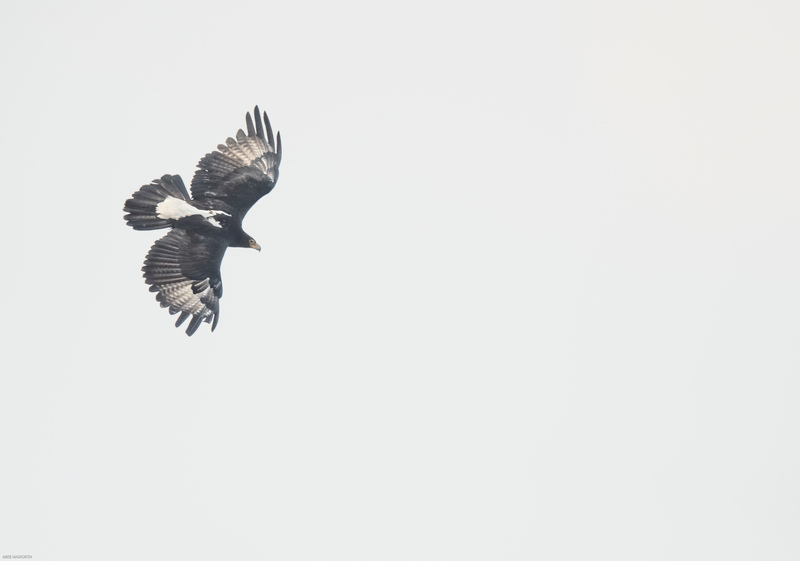 The adult black eagle was impressive in flight. It is a large raptor with a wing span of around two metres. 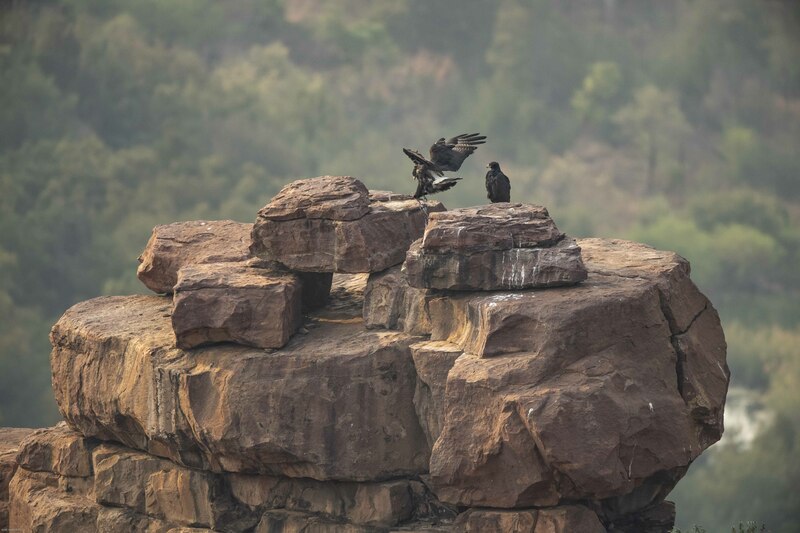 Verreaux’s eagles are usually found in pairs and they form life-long partnerships. Like golden eagles they hunt collaboratively, with the lead bird trying to flush the prey into the open for the other bird to ambush. The flora in these sandstone ridges and cliffs is unique to the terrain. The mystery lies in the detail. 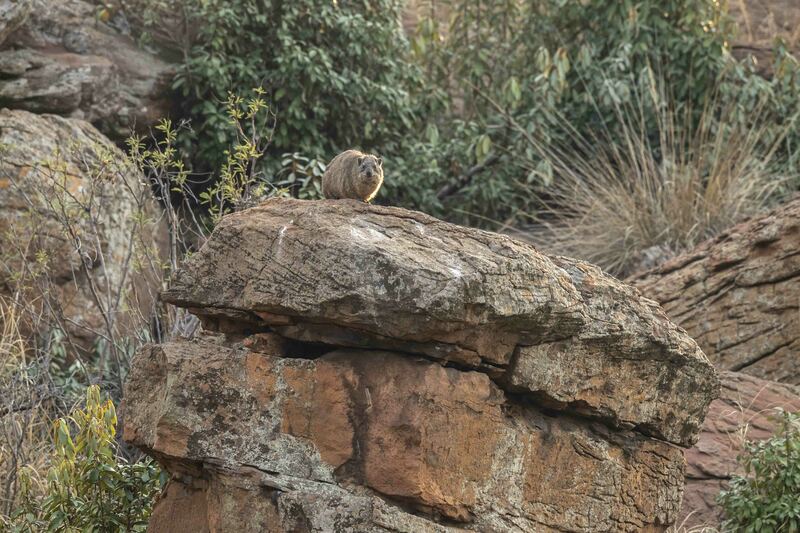 A Rock Hyrax warming itself on a rock in the early morning light just what the black eagles look for. 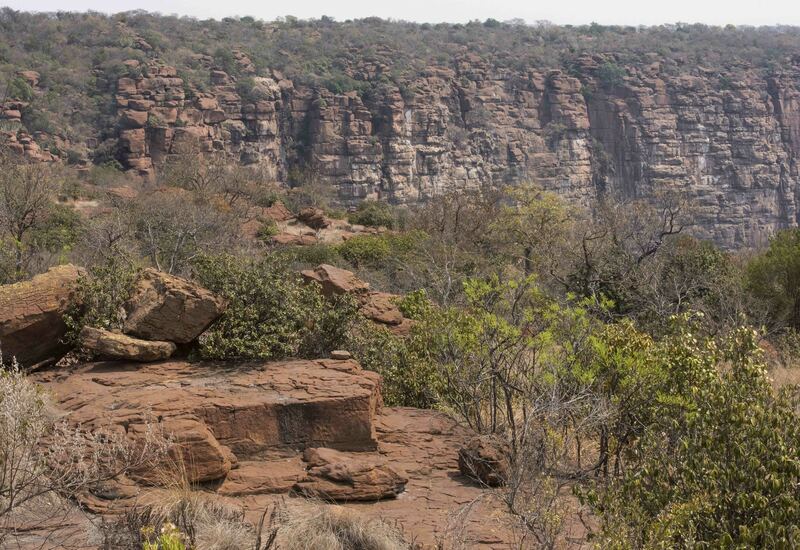 The Olifant’s river has over millennia carved a deep wide channel through the fractured sandstone. Even though there was only a light flow of water in the river it could be heard from the top of the cliff. 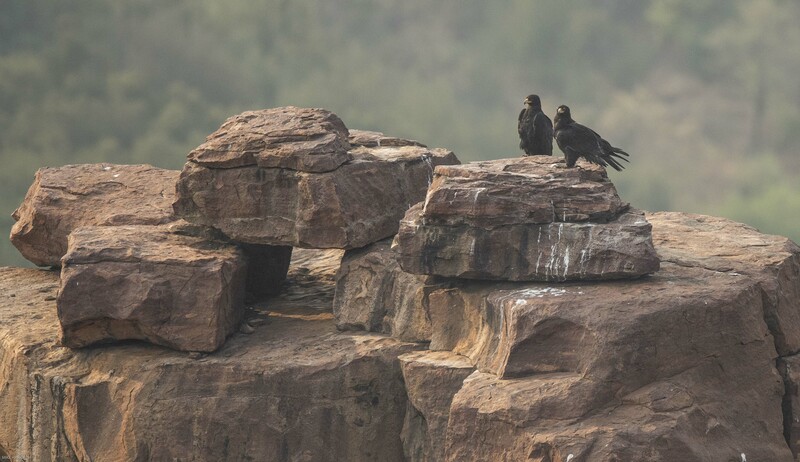 A pair of black eagles watching us from afar. It was about 8h00 and the wind started to pick up so they did not stay for long. The world is full of wonderful fascinating things so go out and explore. Marvellous photographs and an interesting commentary – I always enjoy your posts.